Speaking Opportunities: Content Gold Mine! While it is hard to deliver a speech that garners praise from wildly different audiences (thank you, Michelle Obama) most public speaking opportunities fall in the "preaching to the choir" column. Generally, a public speaking gig is gift. Typically, your audience wants you to be there and they want you to do well. Exception: when you are presenting dissenting opinions in a public/civic meeting. In which case, practice deep breathing and take a friend along for moral support! No one likes public speaking. Or at least, virtually no one will admit to enjoying it. But speaking opportunities are excellent lead-generation activities - it's old-fashioned, effective marketing at its best. And, while you might find it uncomfortable, making a good impression during a live presentation is actually pretty simple. Your audience wants you to do well, but they also want you to be prepared. There are oodles of different methods. I prefer to write a rough draft of what I want to present. That usually takes the form of a narrative - in the "letter to a friend" style. Then I read it out loud. Yes, out loud. Practice makes prettier presentations. But it sure helps! Take that rough draft, or outline, or list of things you want to say and just say them. To a friend, your cat, the mirror. Just say it. Out loud. You can't deliver a speech without speaking practice. This isn't brain surgery, folks. Practice OUT LOUD. Edit your message, revise, and practice your talking points again. I say "talking points" rather than "speech" because most people think a speech is something you memorize, and memorizing your talking points will almost always backfire. You'll go on autopilot, then forget what you said and repeat something...or leave something important out. 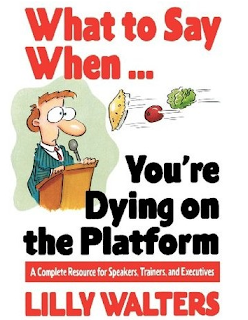 So practice your message, refer to your talking points, but don't memorize a speech. What Should I Talk About? And How is Speaking a "Content Gold Mine?" Time to deliver on the headline! Public speaking opportunities really are a content gold mine. The person, organization or event that has engaged you to speak is also a rich source of information. Ask your contact what he or she would like you to speak about. Ferret out as much information as you can about the people in the audience. Where will they come from? Why do they want to hear from you? What matters are most pressing to them? As you review your existing content pull what is most likely to be helpful and interesting to your audience. Maybe they love your company. Hate your latest product release. Have a wish list of things they'd like to see next season... whatever feedback they offer is truly gold, and should be helpful as you market (and work to improve) your business or organization. Try these practical tips the next time you have an opportunity to speak to a group, staff a booth at a trade show, or even as you just work the room at your local Chamber of Commerce meeting. You might find that you're soon looking for more public speaking opportunities, and even enjoying them! PS: When you're speaking, make sure that what you're saying makes sense. Go easy on the industry jargon and Corporatese. 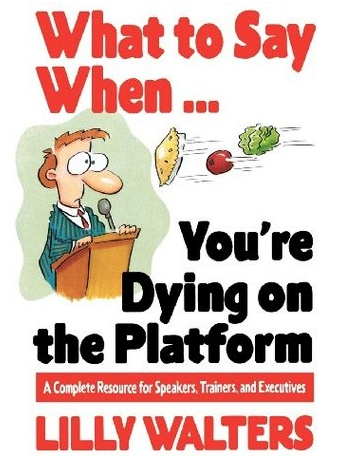 Want help preparing for your next presentation? I can work with you to make sure you get your message across, and make the most of the information you collect at your next speaking engagement! What's essential is that your website is accurate and useful. Mistakes on your site (or in your business listings) reflect poorly on your business, and they can cost you money. Be honest - is your website up to date? Does it represent your company well? Think of your website as part of your customer service team. Is it working for you, or against you? Even if yours is not an ecommerce site, your website is a powerful force that drives sales - or maybe, it drives them away. Fixing your site may take more than a day (or a week), but you can start now with some very simple steps outlined below. Go to your website, take note of these things - then set aside the time to fix what you can in the next week. A week from now, repeat the exercise. 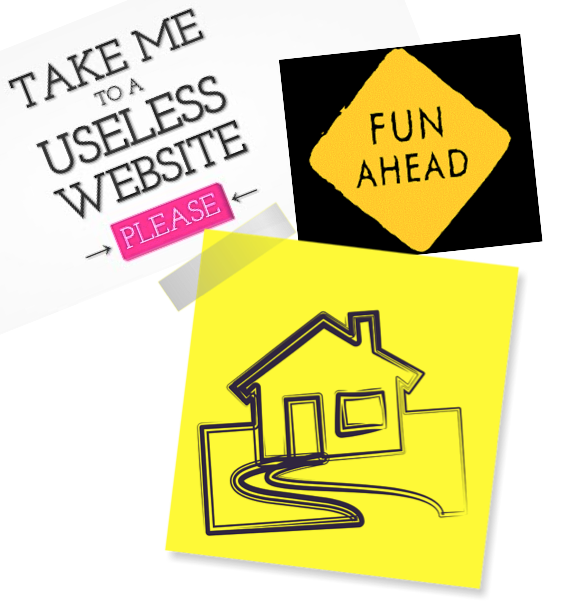 Your site may not look much different, but it will be a lot more useful. The trick is that you must look at your site with fresh eyes. When you're familiar with a sign, an online or printed page, or even when you read a common phrase, it's easy to overlook mistakes that will throw off someone new to the sight - or in this case, your site. Look at your home page, contact page, and the footer of every page. You might be surprised how many footers contain incorrect information. And even though "all" of your customers "know" your address, phone number and hours, your prospects don't. Is contact information VERY OBVIOUS on EACH PAGE of your site? A customer who doesn't know how to reach you won't buy from you. Out of time? Make note of what you corrected, and where you stopped. Set aside a little time this week to work through the list methodically, correcting what you can and getting help to fix the other errors. Soon, you'll have made noticeable improvements to the virtual face of your company. Pat yourself on the back! But don't stop there. After you've corrected the most basic things that are are wrong with your website and congratulated yourself, take a look at your site from a different perspective. Instead of looking at what's wrong, think about the improvements you would like. Maybe you want to add a staff photo or directory. Or a landing page to tout a new product. 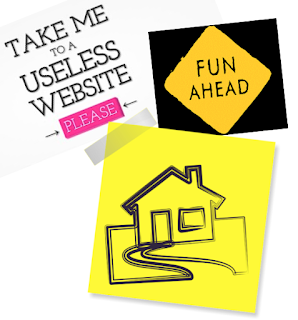 I find that most people managing small businesses assume they can't work on their own websites. Or they're afraid to. The fact is, website management tools get easier to use every day. And while overhauling your entire site is a major undertaking, fixing small errors is easy and offers a big payback - fast. Get started now, before another prospect decides to leave your site for a competitor.